With so many types of insurance, sometimes it’s hard to keep them straight. What could apply for a home-owner’s policy doesn’t necessarily apply for an auto policy as well as any other combination. Let’s break down each type of policy and give the quick and easy basics. 1. Auto Insurance – This policy will protect your auto in the event of an accident, theft or natural disaster. There are 3 major types of automobile coverages. a.) Property coverage – applies to damage or theft of the vehicle b.) Liability coverage – this pays for bodily damage or property damages to others caused by you. This type of coverage is required by law. c.) Medical coverage – will pay for medical expenses, funeral expenses, lost wages and rehabilitation to those injured in an accident involving the vehicle. 2. Health Insurance – This policy will pay for all or a portion of any medical expenses you may accrue. a.) An individual and family deductible may apply before they offer coverage. b.) Often once the deductible is met they will pay based on co-insurance. Co-insurance is usually where they pay 80% of the costs and the insured(you) pay 20% of the costs. c.) Some policies offer a co-pay for office visits that do not apply to your deductible. This is a small fee you pay when visiting the doctor. 3. Home-owner’s Insurance – This policy will cover the structure of the dwelling, property contents and any liability for injuries that happened on the property. a.) Most natural disasters are covered under this policy. Except flood and earthquake that require additional coverages. b.) Home-owner’s insurance is mandatory and can be rolled into the escrow of your loan or paid directly to the insurance company once a year. c.) There is no coverage for regular maintenance issues that arise but will cause sudden damage or loss to the dwelling. 4. Property Insurance – This is a broad category of insurance that can be highly specialized. This policy will provide coverage to property for theft, fire, natural disasters as well as other perils such as flood. a.) Renter’s insurance, landlord’s insurance, earthquake and flood insurance all fall in this category. b.) Coverage applies to the property listed for the perils listed in the policy. c.) This is probably the biggest category of insurance with the most variety of coverages. Worth Ave. Group falls into this category. 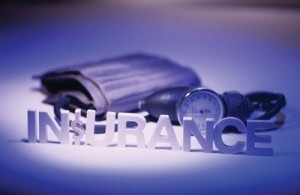 Besides these four types of insurance, there are numerous others. However, these are the most common that you will come in contact with during your lifetime. Know what you are purchasing and ask your agent to explain the coverage to you. You have some new tools now and a better grasp of how these policies work. Don’t be fooled by policies that may or may not protect you for what you need. Insurance is based on “good faith”, meaning you and your agent should work together to acquire a policy that is in your best interest.